Crystal Serenity berthed very neatly at the Terminal Croisière, Quai Rainer III, Monaco at the end of an absolutely fantastic nine-night cruise from Lisbon to the home of the very rich (see CRUISE NEWS in this issue). Blue skies and smooth seas all the way. Not bad for November. BTN's editor in chief was on board. At Monaco (Monte Carlo is an administrative area) the hop-on-hop-off bus stops by the cruise terminal and, with the Principality somewhat hilly, good value if you want to visit the Royal Palace, aquarium and the motor museum. Otherwise it is an uphill walk to Casino Square along the course of the motor racing circuit. We arrived at noon and did not transfer to the very modern Nice Airport (well under one hour away) until the following morning. For some it was out after dinner to try and break the bank. BTN has been a regular visitor to the city over the years, the British very welcome and English fast becoming the second language. Wherever you stay the modern airport is an easy run into town. This time around we hostelled at the Pousada de Liboa, very old, award winning but brand new! A converted government mansion on the waterfront at Praça do Comércio. 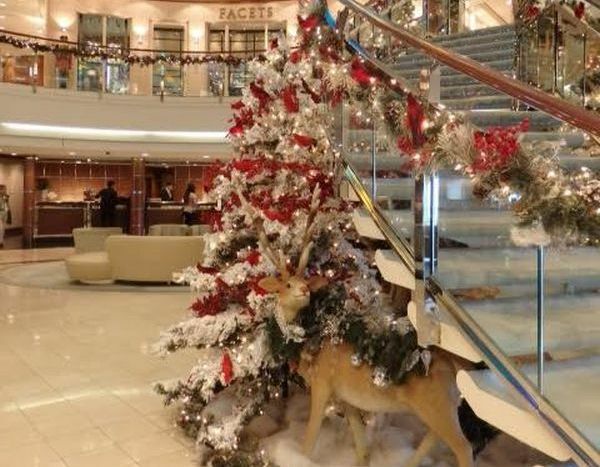 The cruise terminal is a short walk away. For an introduction there is of course hop-on-hop-off transport, but we would recommend the traditional tram, a noisy but popular way of seeing the city. Don't worry about hearing the commentary. The latest high tech ear pieces are very clear. The island of Madeira is a full day at sea from Lisbon and Portuguese. Docking at breakfast time there was a complimentary shuttle service to the centre of the capital Funchal from where many people took the 15-minute cable car trip to the near 2000ft summit. There are two choices at this point (or you can do both). Take a further cable car ride to the botanic gardens or for the brave a toboggan ride for two back to the city. Hold on to your video camera! 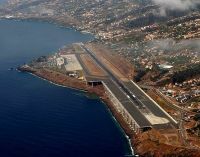 For us it was a half day coach tour to the north of the island, passing by the airport, its single runway extended out over the sea in 2002. TAP’s Airbus A330s are regular visitors. The island is semi-tropical, hilly but with vast forests and plentiful vegetation dispersed with Portuguese history, villas and the remains of sugar plantations, plus pretty bays, the water we are told warm enough for an Atlantic swim. Tenerife does not need any introduction to the British. One has to explain to North Americans that the Spanish Canaries are to Europe what the Caribbean Islands are to Canadians and those from the US. Depending on where you originate the flying time is much the same. Five million tourists flocked to the island last year. Santa Cruz is one of those places where the open top bus tour is not recommended. Most of the interesting places in the city can be reached on foot from the ever rebuilding cruise terminal and if you want to visit the historic UNESCO city of La Laguna take the tram, far more interesting than the motorway bus. Spanish, and the the nearest of the Canary Islands to Africa and our last port of call before another sea day and Malaga. We would pass Gibraltar at night. The port of Arrecife can actually take up to five cruise ships but if you are lucky, and the only vessel berthed for the day, you will find yourself within easy walking distance of a new yacht marina and a leisure development including restaurants, and a variety of shops. 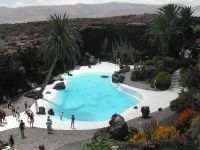 It is also the home of Skyride Lanzarote a simulated virtual tour of the island. Just a little further on is the El Charco de San Ginés, a lagoon surrounded by what was once fishermen’s houses but is now given over to mainly leisure and holiday establishments. On the other side of this lake is the commercial centre of the town, pedestrianised and with a good variety of shops. Swimmers may be interested in the El Reducto beach, golden sands bordered by a long promenade. Malaga is one of the most popular ports of call for Mediterranean cruises, and rightly so. It is a busy and prosperous city (drivers should note a recent change in the one way street system), both modern and ancient to see, and the birthplace of Picasso. Our tour for the day took us to the little city of Ronda, certainly one of the highlights of the trip, 60 miles along an interesting highway from Malaga climbing steadily through the mountains until we reached what is in effect two little towns, each perched on a hilltop and linked by a bridge completed in 1793. It is a very popular tourist attraction and can also be reached by train direct from Madrid, and also the Costa del Sol resorts. The railway was built by the British in Victorian times as an escape from Gibraltar. The long stretches of medieval impregnable stone walls, with numerous gates and Islamic arches and high defensive towers, surround the old city. It takes at least an hour to walk around. Wear the right shoes. Called La Ciudad the old district of Ronda is full of twisting, narrow streets and the inevitable shops and eating places. Located here are the church of Santa Maria la Mayor and the Palacio de Mondragon. The former, on the site of town's main mosque during Moorish rule, it is a Gothic style cathedral with elements of the Baroque and Rococo. The latter is a former Moorish palace with beautiful gardens, a fantastic view, and a small museum. The Bullring (Plaza de Toros), considered to be the most historically important in Spain, and is the home to the Ronda style, with a matador on foot instead of horseback. The building can only seat 5,000 people but has the largest central sand surface, in the world. The structure was entirely built from locally quarried stone, then plastered and whitewashed.